Or at least the bookshelves. Now that I've managed mark all the books I'm certain I've read I get to go back and start fixing the editions. I have bunches that are the right title, wrong cover. Joy of joys. I suppose I could leave them as they are, but I'm a tad to OCD for that, Completely disorganized shelves? No problem. Book doesn't have the same cover as my one in hand? No frickin way! I knew absolutely nothing about this book beyond the name and the fact that there were several in the series. I took a moment to read a couple reviews and I'm glad I did. Otherwise, I probably would have gone into this thinking the book was along the maturity level of Vampire Academy or Hunger Games. Instead it's a slight step down, say Disney's Descendants or Percy Jackson. This is not a bad thing, it's just a distinction. For the level the book was written at, it was fairly well done. Not too complex of characters and most plot "twists" are pretty apparent to a highly avid reader, but it is an enjoyable story. I particularly liked that the fairies developed their own science and technology. Some similar to ours, although better fabrication. Nuclear batteries anyone? Some fairly different, magma vents as jet propellants. Not sure I'd want to travel that way. I will probably read book two when I feel the need for a simple story of mindless entertainment value. Sometimes, that's the best kind to read. Can anyone say wishy washy? 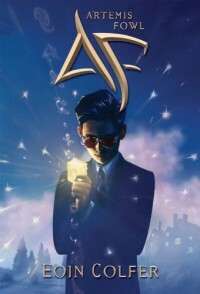 I borrowed this book from my library because the second in the series looked interesting on the store bookshelf and I hate to start a series in the middle. 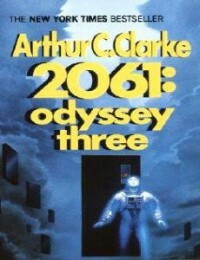 If I had run into the series with this book I'm not sure I'd ever get to the second one. It's mainly because the main character is so flaky. 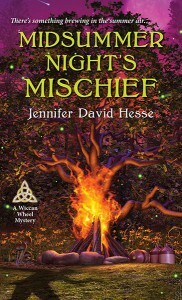 In the book she states that she's been a practicing Wiccan since The Craft was popular, which would put it around 1996. Given that she's turning 30 and the book was published in 2016, she would have been practicing for 20 years. The problem is, she says she was in high school when she first became Wiccan. I don't know many 10 years olds in high school, so either my math is bad or hers is. Having been a practicing Pagan myself for 27 years I take exception to some of the descriptions and references. Most Wiccans I know only call themselves Wiccan, never Pagan. When people ask me the difference I like to say "Wicca is to Pagan like Catholic is to Christian." One branch of a much larger tree. A practicing Wiccan also would not have been surprised that the day of the week and the phase of the moon are important to their workings, especially if they'd been doing it for 20 years. Not every single Wiccan (or Pagan) uses the phases of the moon and days of the week as guidelines, but a large number do. And even if they don't use it, that is usually because they choose not to, not because they never knew. It's in every single intro to the craft book I've ever owned. Aside from my obvious issues with her details, the other thing that I didn't care for was the oh so convienent premise of why she has all the time in the world to conduct her amateur investigation and why the police aren't involved. The police are out because the city cops want the "big boys" with the special unit to do all the casework. Can you say cop out (pun intended)? Even the smallest town police would do more than a cursory investigation into a burglary, no matter what was stolen. I could see them asking for assistance from more specialized units, but just dropping it all together? Too convenient a reason for the heroine to not have police interactions. As for why she has so much time on her hands? She's taking a "forced vacation" to avoid having to resign/being fired from her law firm because there was the hint of scandal about the theft and an upset family member. I'm sorry, any business that dumps me at the first sign of losing their reputation or their biggest client or future business, without taking into account the circumstances is not a business I want to work for. The rats should at least wait until the ship is sinking before they start deserting. Who knew they could be so funny? 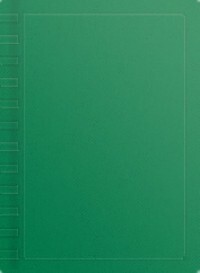 I ran across this book wandering through my library's e-catalog and the title caught my eye. 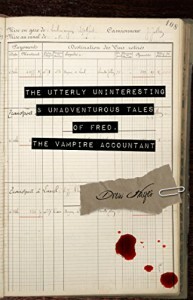 I figure anyone who uses The Utterly Uninteresting and Unadventurous Tales of Fred, the Vampire Accountant deserves a shot. One, for naming his vampire Fred. Two for making him an accountant. Not a profession I have ever associated with the undead, even though they're always described with fabulous fortunes garnered over centuries (or so). To my delight, the book lives up to the title. I found it hilarious, tongue in cheek sometimes, serious sometimes but never campy. "...one night I was a mild-mannered accountant with a heartbeat, and the next night I wasn't. Oh, I was still a mild-mannered accountant, but the heartbeat was long gone." This is in the opening pages of the book, where he's finally decided to be spontaneous so he's going to his 10 year class reunion. He meets an old classmate who was a close to a friend as he had then, and the story takes off from there. Fred freely admits that he's a coward, avoids conflict, and his best skill is running away. But he steps up when needed and learns to be more. However it's a very gradual change so by the end of the book he's only slightly more confident than when he started, but it's a good change. I definitely will be checking out book two and would recommend this to anyone who enjoys a laugh. When I won the game, I was prized with a 50$ gift certificate to Amazon. So what do I do with it? Why, buy more books, of course! 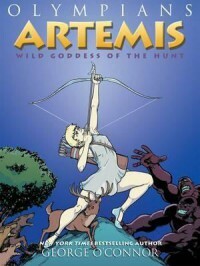 The World Mythology series is one I read in middle and high school and I loved them the best of all the selections at every campus. I'm thrilled to be able to add a few more to my shelves. The Olympians series by George O'Connor is one I would recommend to pretty much anyone. The books are easy to read but not simple, the illustrations rich but not overwhelming. Thank you for putting on the game, which was great fun, and the prize, which was a bonus score. Another fine installment from Mr O'Connor, done in his usual thorough research and mortal interpretation. There is some overlap from Apollo but that is to be expected because the twins had several stories that they share. Great pictures and the multiple POV works well for this book. Is exactly what I just finished doing. My daughter and I went through her books and mine to get all her Bingo spaces filled. We managed to get unread books for nearly all the spaces. WhooHoo! Working through her TBR shelf also (she's only got half a row on one shelf as opposed to my 5 shelves worth that are two deep and layered to the top). If we work this right, her TBRs won't ever get more than half a shelf. Keep your fingers crossed. Unfortunately. I liked the story well enough. It was interesting and the characters were enjoyable. However, it wasn't gripping. The content of the story is such that you can conceivably read it without having read any of the previous. Nothing in this story hinges completely on previous books. In fact, there are several passages that are pulled directly from prior texts that support the book well enough for the story purposes. A nice little story but not one to draw me back again and again like more compelling works. I gotz Bingo Books!!!! I is all ready to readz!!!! Yes, my computer graphics skills are pitiful. It's a good thing that my reading skills don't depend on my graphic skills. I plan on reading all these books, so when spaces are called I can black out my card. Bwahahahaha! Plus, it's a nice boost to my year's reading challenge. Two birds, one stone. I started reading this because it was free from Amazon Prime. I was only a little way in and already thinking, "Great, another book where the heroine loses all her brains because the hero it a hottie". Multiple lines talking about how gorgeous he is and how much she's attracted to him did nothing to dispel this. Then I read, "So he liked good music. I didn't want to like that about him, but I did. Of course. Because I was an idiot easily swayed by my hormones." And with that, the whole book flips. I started noticing that she actually talked to people rather than trying to do everything herself in a misguided notion of protecting friends. I saw that people acknowledged and relied on her abilities and she was neither surprised or embarrassed by this. I saw that it wasn't just sexual tension that drives the story or the interaction between the main characters. The plot wasn't complex and the writing was not Tolkien level intensity, but the story was good and the characters engaging. The one thing I had a major issue with was that interspersed in the book were references to the past that made me feel like I was reading the second book in a series and was missing the background of the first book. That was rather jolting but hopefully the episodes are explained more fully in the following books and with a more natural transition during the story. ...Fabulous! I like this book sooooo much better than the first. The people actually make the story here. A few years ago I read Larry Niven's Ringworld and discovered I don't care much for extreme hard sci-fi. Books where the science drives the story and not the people. That was one of the problems with the first book. Fortunately that isn't the case here. 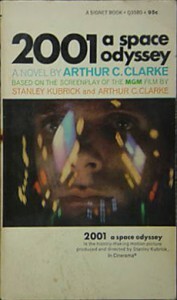 While I enjoyed the descriptions of the various space items it was because that forwarded the plot. It was startling to realize that the time frame of this book is concurrent with the last few chapters of the first book. 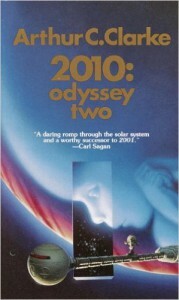 People tend to think that sequels must perforce take place completely after the events in the first story. And I will be most interested to see how humanity copes with two suns, no nights and an eventual encounter with the Europans. It took three tries but I actually made it through this book. I watched the movie oh so many years ago and only remember tiny random bits, not even a full scene. The book is going to be similar for me. I think what I disliked most is that two thirds or so of the book seem to be written in the passive voice. There's very little actual conversations or interactions between characters, just extensive descriptions of what this piece of machinery or that space maneuver is doing. Boring! But I wanted to make sure that I finished this book before going on to the next. Since the very end of 2001 with the Star Child was interesting I'm hoping that the next book is a little more active voice and action. Fingers crossed. I love how O'Connor takes a different approach to telling each god's stories. 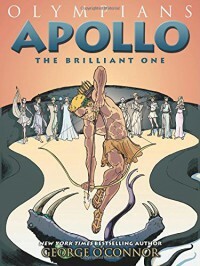 Using the Muses to retell Apollo's is brilliant, because they are directly inspired by him. Once again, O'Connor has managed to give understandable motivations to the stories and people. He also does a great job at subtly interweaving other narratives. I like that at the end of each book there's some discussion questions that could be used in a study or classroom setting. They are fairly thoughtful and fun to consider. I have to admit, I like the fact that I now have a reasonable explanation for why Apollo attacks the Python and takes over Delphi. Well, for Ares it's any war. 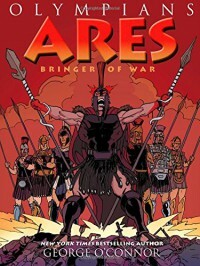 I like how O'Connor illustrates the difference in Ares and Athena's approach to war, and when one will override the other. Seeing his take on Ares involvement (or lack of) in the Trojan war makes a more realistic and understandable reasoning than most. If Zeus hadn't gone all scary lightening, Ares would probably have ignored him like he frequently does and gotten all up in the war anyway. Watching how each Olympian sticks their fingers into the pie, and the turning point for when they stop enjoying the conflict is also illuminating. Who knew Ares would get so upset about the death of a son he had no real contact with? 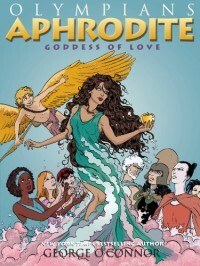 Aphrodite, according to Paris. I love this graphic novel series because it's well written in addition to having beautiful artwork. I like that O'Connor digs really deep into each character's stories and presents things from a newer angle. Not just in how they speak, but in the motivations themselves. Despite having read the Greeks myths many times from multiple sources, I never stopped to truly consider the reason Aphrodite was married to Hephaestus instead of anyone else, and how she truly came to be born of sea foam instead of living beings. O'Connor definitely adds new facets to each deity. I've got a pretty mixed response to this book. I tried it because it was free to borrow from Amazon Prime and I liked the cover. Not sure I actually read the blurb before I downloaded it. I guess I was thinking it would be something along the lines of the Twenty Sided Sorceress books. Not even close. 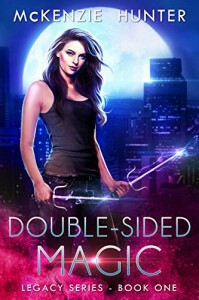 I will admit that having vampires and werewolves and witches and mages and fae all be diluted magic holders is intriguing, since they are so frequently portrayed as immensely powerful. What I had trouble with was the repetition. I got that a Legacy was someone who everyone hated and feared because they weren't diluted and had attempted to destroy all other supernaturals so they could reign supreme. I got that by the second reference, so having it beaten into the story every chapter and a half was annoying. The main characters predominate states were anger that she was hunted, fear that she'd be outed, and lust for the shifter. I'm hoping the range increases as the story goes along. It's a good basic book but doesn't live up to its full potential, which is too bad. It could have been amazing.